Who said I’m not a dog person? | Help! I live with my Italian mother in law! Who said I’m not a dog person? This is Gus the wonder dog! He’s my brother’s dog and he is 11.5 years old. 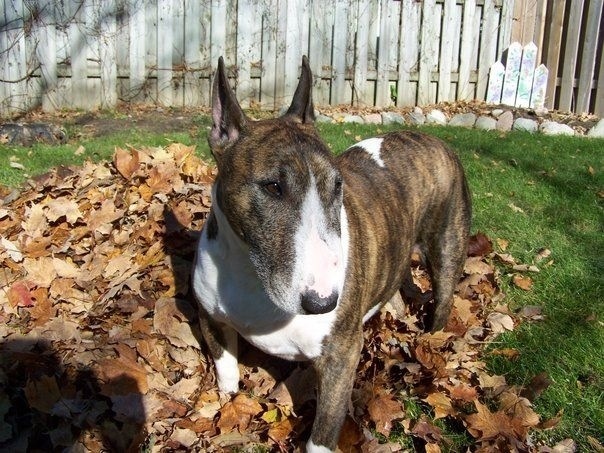 Gus is a bull terrier and by far the sweetest dog in my world. He is solid and loves to cuddle. I think he thinks he’s a lap dog! A year or so back, Gus disappeared. He was missing for several weeks in the countryside and every weekend my brother and sister-in-law returned to the same spot and searched for Gus. Signs were posted and miraculously someone called to say they saw him in the woods. They found Gus huddled under a tree, tired and thin from hunger with porcupine quills stuck to his nose! Gus truly is a wonder dog! He bounced back and was very happy to be reunited with his family again. He loves cheddar cheese and can clear out a room with his farts. But we all still love Gus. The above painting was commissioned by me as a gift for my brother and sister-in-law. As Facebook connects people far and wide, I found the artist through Italian Reflections. The artist lives in Ireland, so how I got from an Italian Facebook group to an artist in Ireland is a bit of a mystery but there you go…wasn’t it Walt Disney who coined the phrase “it’s a small world, after all”? He’s an animator, illustrator and well I think a pretty good artist. I emailed him some photos of Gus and he did this fantastic painting. As most of my readers already know, I am a big art fan and have a huge admiration for such great talent. The process was quite easy and at a good price too. Everything was communicated through email, paid with paypal and the final original was mailed to my brother in Canada. Eimhin even emailed me a link to the high-resolution file. What a sweetheart! If you get the chance to visit Eimhin’s (pronounced Evan) website watch the short animated video with the rooster; It’s positively charming. I’ve been waiting patiently (ok, not really patiently), for the package to arrive in Canada and on Valentine’s day it did! Thank you Eimhin for sharing your incredible talent and impressive professionalism. 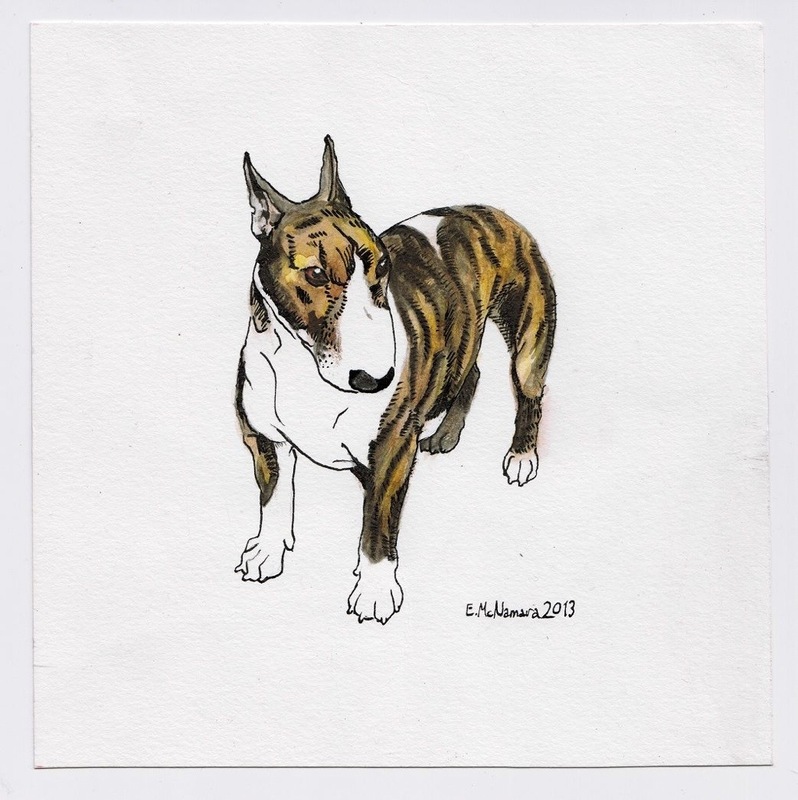 This entry was posted in Art, Nature and tagged animal portrait, Animator, dog, Eimhin McNamara, Ireland. Bookmark the permalink. 2 Responses to Who said I’m not a dog person?